Our Guarantee | Peak Roofing Contractors Inc. 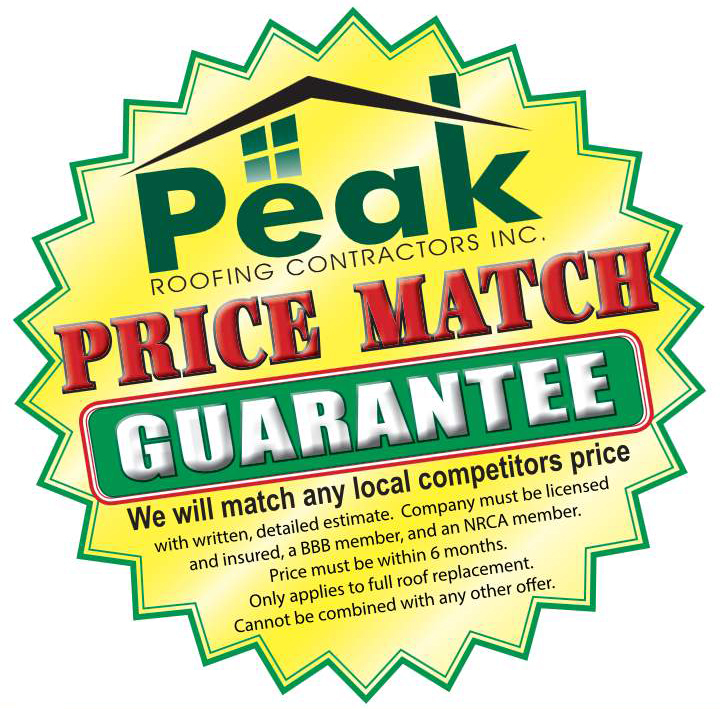 Peak Roofing Contractors is pleased to offer our own Price Match Guarantee! We will match the price of any local Class A Contractor’s written, detailed estimate. Competitor must be licensed and insured, a BBB member and an NRCA member. Match must be requested within six months of the initial estimate. Only applies to full roof replacement. Price Match does not include any insurance/claims work. Q: What’s a “Class A Contractor”? A: To do construction work in Virginia a contractor is required to maintain a license or certificate from the Virginia Board for Contractors. The Board issues three types of contractor’s licenses or certificates — Class A, B, or C. The type of license a contractor gets will be based on the value of the projects their business will work on and the amount of time that contractor has been in business. Peak Roofing Contractors proudly maintains a Class A Contractor’s License, the highest level any contractor in the State of Virginia can achieve. We’re at the “Peak” of Quality & Customer Service! Why go anywhere else? Peak Roofing Contractors has a proven track record of outstanding customer service and superior workmanship – and we guarantee the best pricing! For a FREE estimate on your home improvement project, give us a call today at (703) 745-5153.